Wake up Women started as just a book. In 2006 Ardice Farrow accidently sent Karen Mayfield an e-mail with Wake up Women in the signature line. As Karen Mayfield states when I saw the words Wake up Women I knew this was no accident Karen say’s I needed to call Heidi Reagan and get her on board. 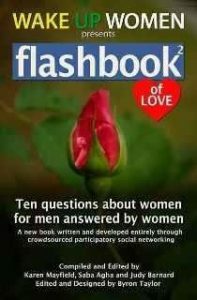 Late 2008 the very first Wake up Women book was released. 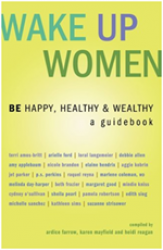 The books original title was Coaches for Change but was quickly changed to the current title Wake up Women BE Happy Healthy Wealthy a guide-book. Over 120 interviews were conducted with top female coaches spanning the globe and upon release hit the best-sellers top 10 list with Barnes and Noble online. Ardice and Heidi introduced the book at the Emmy’s and took pictures with all the celebrities. Wake up Women is a hit. Within weeks the second book in the series was opened for story submissions. 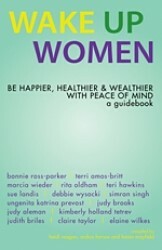 Wake up Women BE Happier, Healthier, Wealthier with Peace of Mind was officially ready for the publication process to begin. The year is 2009 and the United States is in a recession that is nearly as bad as the depression and actually was in some big cities. So book two is produced without much fan-fare. In the mean while Ardice pursues other opportunities as well as Heidi until things settle with the economy. When 2010 rolls around the economy is not much better but if you have the right strategy you can make whatever you are doing a success. Without owning Wake up Women Heidi and Karen launch Wake Up Women BE and after 18 months and failure to launch the project is abandoned. Later in 2010 Karen enters into negotiations to purchase all rights to Wake up Women and early 2011 Wake up Women is back in business. Joining the team is Byron Taylor with BT Studios. BT Studios does all web-design, book covers, all digital and print book production. The first order of business is to make the second book in the Wake up Women series available in digital e-book form. 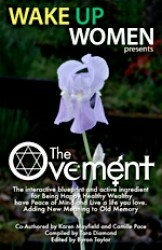 The OVEMENT co-authored by Karen Mayfield and Camille Pace. Next in line is to open up the last book in the Wake up Women BE series with Wake up Women BE YOU sub-title Spread your wings and fly. This title proves to be the biggest yet for authors who are sharing their stories of freedom, and authenticity. 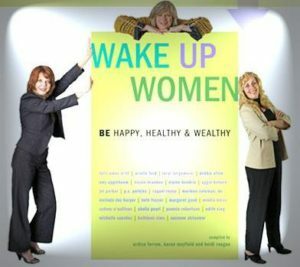 Later in 2012 Teresa Velardi and Doreen Harper joined the team and early in 2013 a book release for Wake up Women BE You Spread your wings and fly is held in California. Over 70 contributing authors participated. After the dust settles we have four volumes for this title. Wake up Women BE series is retired after this title. In 2012 for no other reason than curiosity our next two books were written and produced using a publishing method never attempted. 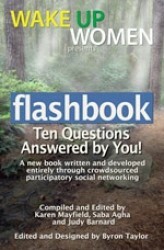 Using social media our fans and a very interactive fan page we produced two books that we called Flash-books. Using crowd-sourcing we involved our fans in participating in the book. We actually wrote and produced the book in five days. Similar to flash-dancing where people show up at a certain time in a public place and put on a huge dance production. We get together online and participate in writing a book… By simply asking one question every 15 minutes on our fan page for a total of ten questions we received over 700 comments both times. We simply copied, edited and published the answers. Then we gave the e-book away as a gift for being our friend, follower, fan a smashing success. 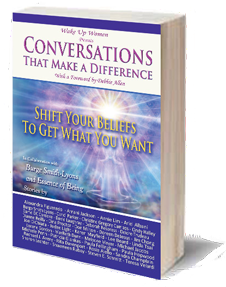 Our next book is a collaboration book between Wake up Women and Women’s Prosperity Network. This collaboration begins the next evolution for the Wake up Women book series. Candi Parker with Parker house books joins us as part of the book team. Candi creates and develops all book trailers, videos and book production. Teresa heads up the development for the book series and we produce in 2013 Conversations That Make a Difference. 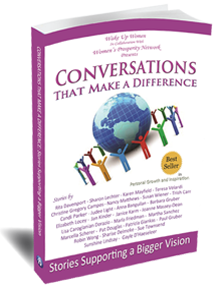 Quickly followed by the release of the next title in the series Conversations That Make a Difference. Shift Your Beliefs to get What You Want was released in 2014. A collaboration with Burge Smith Lyons.